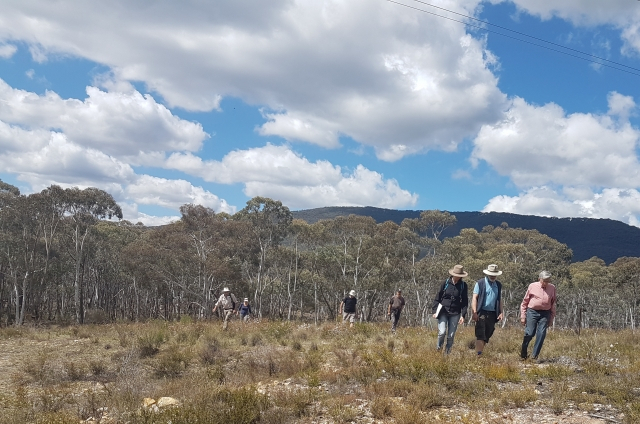 The Bathurst Region Vegetation Management Plan 2019 (VMP) provides strategies and recommendations for vegetation management across the region, particularly land under the care and control of Council. It has been developed in recognition of the vegetation within the City, the rural villages, significant natural bushland, riverine environments, floodplains and agricultural landscapes across the region. The VMP has been structured into a number of vegetation themes. For each theme, the plan provides a framework of vegetation management techniques, design principles and recommended projects for completion. Significant natural landscapes - Landscapes that provide significant visual amenity and valued vistas into and out of the region have been highlighted for protection and enhancement. Native remnant vegetation - The remnant native vegetation across the region is significant, particularly due to the widespread clearing and fragmentation that has occurred. Several of these vegetation communities are listed as endangered or critically endangered including White Box Yellow Box Blakely’s Red Gum Woodland. Watercourses and drainage lines - Waterways have important values for water supply, scenic amenity, recreation, environment and habitat. The waterways within the Bathurst region vary in condition, with many suffering from degradation and in need of rehabilitation. Streetscape - Street trees play an important role in providing a comfortable living environment, contributing to the visual amenity of the City and villages, and defining the character of an area. Parks and public reserves - The Bathurst region has significant parks that need to be preserved or enhanced for their heritage, recreational and/or environmental value. Gateways – Trees and vegetation leading into the entries of Bathurst City and the villages are important as they provide a first impression, a sense of arrival, and a transition from the rural environment into the city or village. Flood plains and wetlands – These environments provide important habitat for a variety of species, including migratory wetland birds. The Bathurst flood plain also contributes towards agricultural production and provides visual amenity and recreational values. The VMP update was prepared by the environmental consultants Molino Stewart and adopted by Council in February 2019. The original Bathurst Vegetation Management Plan was adopted by Council in 2003 and was prepared by Terra Consulting Pty Ltd and authored by Barbara Mactaggart. The update to the Bathurst Vegetation Management Plan has been produced using the same structural format as the original report along with substantial extractions, in whole or part, of text, tables and appendices.